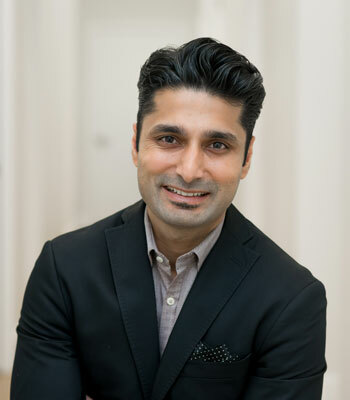 Originally from Coquitlam, BC, Dr. Dewji studied at the University of British Columbia, graduating in 2002 in BioPsychology. He further graduated from Medicine at the University of Manitoba in 2008. He continued on at the University of Manitoba for his Otolaryngology Head & Neck Surgery residency and served as Chief Resident. He also studied at the University of Iowa, University of Michigan and the Atlanta Sleep institute. He has a special interest in sleep apnea surgery, snoring, hearing loss, treatment of skin lesions and medical cosmetics. He has published and presented on many subjects related to his specialty, and is currently involved in several tech research projects. He is Canadian Board Certified in Otolaryngology – Head & Neck Surgery, currently a Clinical Instructor for the UBC Department of Surgery and has affiliations with the BC and Canadian Societies of Otolaryngology, International Sleep Surgery Society and is certified to interpret Adult Polysomnography in BC. In 2013, Dr. Dewji and his young family returned to his home in BC, settling back into Coquitlam. He has since established office based practices in Coquitlam and New Westminster, serving patients from around British Columbia. He is an entrepreneur who also enjoys life outside of medicine with his family and friends.